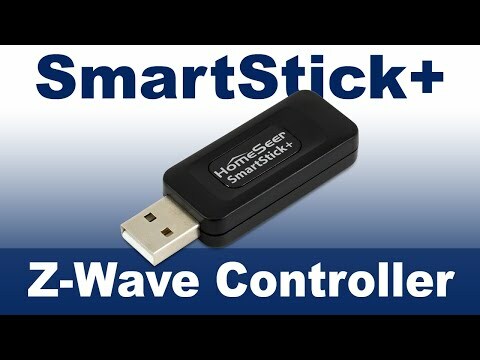 The HomeSeer Z-Wave Plus SmartStick+ USB Interface is a certified interface for use with HomeSeer home automation systems. Z-Wave Plus Certifed Interface for use with HomeSeer Software and HomeTrollers. Supports Z-Wave Plus (and older) Products. Supports Network Wide Inclusion (NWI) for Easy Product "Pairing". Provides Easy Upgrade Path from Z-Trollers, Z-Sticks and Most Other Z-Wave Interfaces.